Whoosh! What’s that? That’s the sound of all our preconceptions going out the window. Unlike wine where the emphasis is on matching strong tastes with flavours from the food, sake’s role in Japanese food has always been to emphasise the existing flavours in a dish. If wine is a picky gourmet, then sake is a gourmand that loves just about everything! No, we haven’t landed in the 70s, but this delicious dish is a classic. Japanese sparkling sake is very much sweeter and less dry than traditional champagne, however the fruity flavours you get in sakes like Suzuki Shuzou La Chamte Sparkling Junmai Sake are a great match for savoury and sweet dishes like prosciutto and melon. Plus, the bubbles add an extra layer of textural fun. Salty and rich with umami, French onion soup is a great match to dry sake to cut through the flavours. We recommend Ozeki Dry Sake or Kasumitsuru Sake Kasumitsuru Kimoto Dry, which is also fab with mature salty cheeses like pecorino or parmesan. This classic dessert is a perfect pairing for nigori sake. 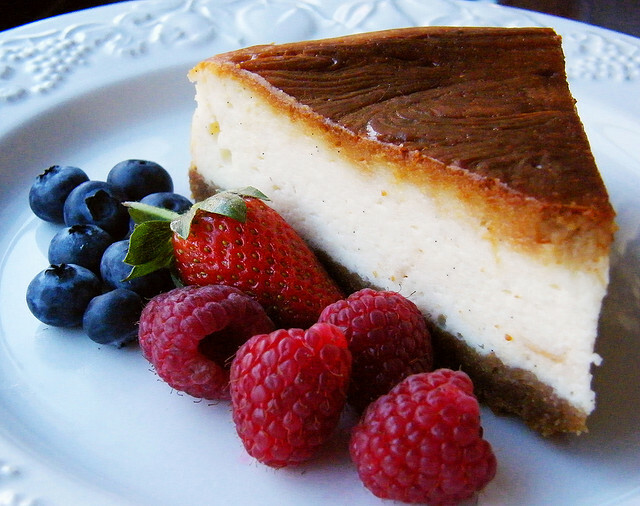 The slightly chunky texture of nigori sake is a great counterpoint to the smooth cheesecake. Nigori sake can be drier or sweeter, but both can make a good match depending on your cheesecake. For a creamy rich cheesecake try Ozeki Unfiltered Sake or for a cheesecake with a tart coulis or fresh berries try Gekkeikan Unfiltered Yuzu Sake to add a little sweetness. 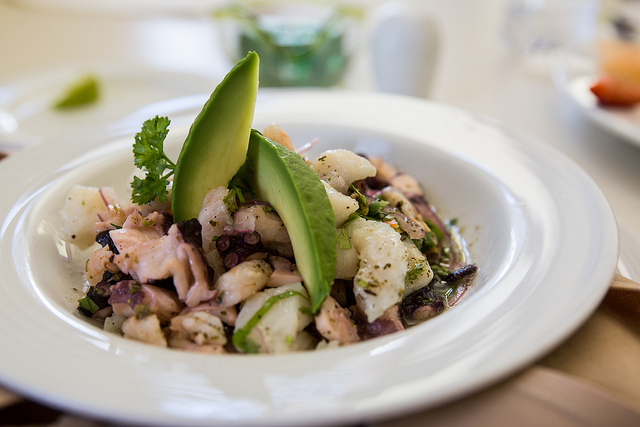 This classic South American dish is amazing with sweet sake. The tart citrus juice and umami fresh seafood make a perfect match to sake like Ozeki Hana-fuga Peach Sparkling Sake. 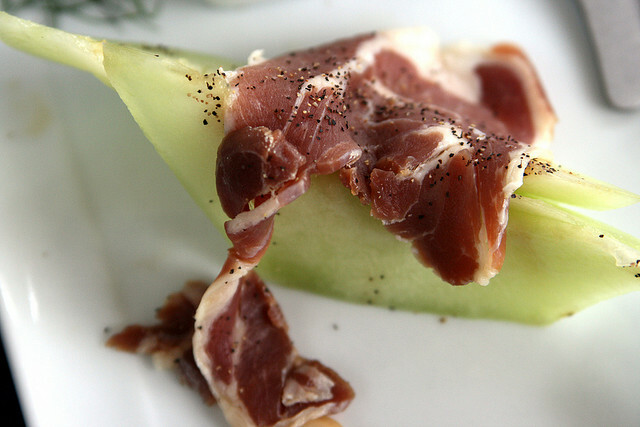 Other dishes which match well with sweet sakes include lox, gravlax or milder blue cheeses. Succulent and juicy, with crispy crackling top, there can be nothing better than a pork roast for a special occasion. 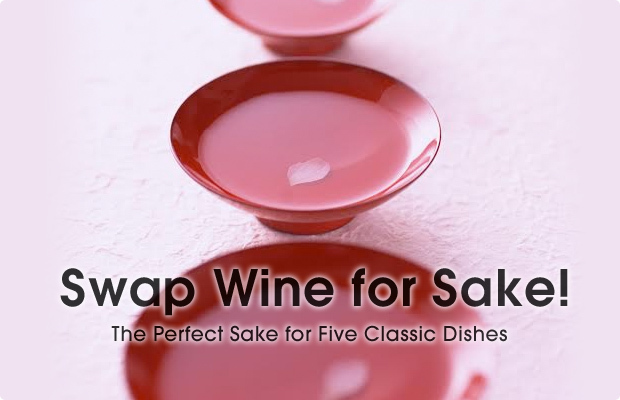 If your usual celebration drink is a white wine, why not swap it for some sake? The rich flavours of the pork demand an equally rich sake, so bust-out your favourite full bodied drinks like Gekkeikan Gensen Sozai Junmai Sake or Gekkeikan Zero Sugar Sake. Got you inspired? Check out the huge range of sakes available at Japan Centre. We’ve got a sake for every occasion, meal and wallet! Find your new favourite drink or rediscover old holiday favourites in our selection. Posted in Food, Tea and tagged Sake, Wine. Bookmark the permalink.